Discussion in 'Writing Discussions' started by Ban, Mar 24, 2018. Have I mounted the mountain of poetic titans? Is my skill so vast, that my own mind I frighten? Have I reached the heights of Byron and Shelley? Will wicked awe, make me poetry's Machiavelli? My roaming poeming is and shall likely remain rather mediocre, but practising it did improve my prose, and therefore I’m glad I write rhymes from time to time. Feel free to stick around as I ramble a bit on my experience with poetry. So how did I improve? The clearest manner in which I’ve bettered my writing is that I now possess a larger vocabulary. I’m a cheese-eating Dutchman, which I’m very glad of, but not being an English-speaking native does mean that there are some gaps in my English vocabulary. My approach to poetry helps me here. Hey Greybeard, I'm always on the lookout to sneak some poetry in, but I've only managed to do it once in my current book. It was a chapter set around christmas time, which always merits some caroling in my opinion. Whenever I return to fantasy, I hope I can create more opportunities to rhyme away. Your signature has given me the urge to alliterate an alphabet of cheese based criminals to fit around the letters you have missed. You are right it can be fun to just play with words. I think it is useful to have poetry and a poets eye in the tool bag. 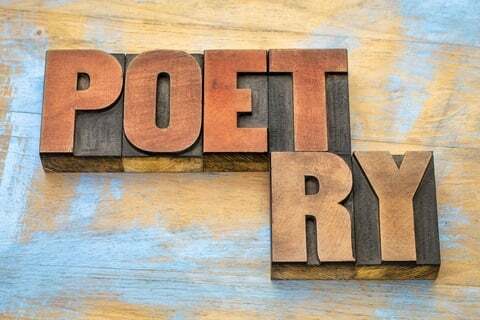 Poetry requires working with words and using them in ways that magnify their impact, while keeping to an economy of words. This, I think shows, when writers have a poetry background, in their writing in many ways, not just with unusual word choices, but with the right words at the right time. I think poetry also aids with creating voice, which is probably the one thing I find most under utilized in many of the things I read. Ban and Black Dragon like this. I wouldn't call myself an accomplished poet by any measure, but I have definitely found myself appreciating the art of poetry as I work to make my prose carry more weight-per-word by trimming out as much fat as I can. A lot of poetry seems to be the art of that, after all, of hitting us at our core with a single punch rather than pages and pages of buildup.